Lighting it up for Eddy tonight! Let’s Roll!! An incredible tribute to Eddy K. Lefrançois in Dubreuilville tonight. A man who lived his life to the fullest and beyond was remembered tonight with 398 ice candles. 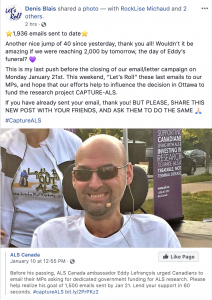 The ice candles were sold for $10 as a fundraiser for Eddy’s cause – ALS Canada and 252 were sold! At 7 p.m. tonight despite the bitter cold, the ice candles were set out, a tealight placed in each one, and lit. They encircled the Church and lit the snowbanks and path to the Church. A thank you to everyone who helped make the ice candles for Eddy! Chantal Croft, Julie Belanger, Kathleen Synnett, Brigitte Guay, Regis Chicoine, Jennifer Borneman Castonguay, Keira Delguidice, Gretchen Delguidice, Matthew Castonguay, Brenda Grundt, Lise Croft, Isabel Chicoine, and many others. 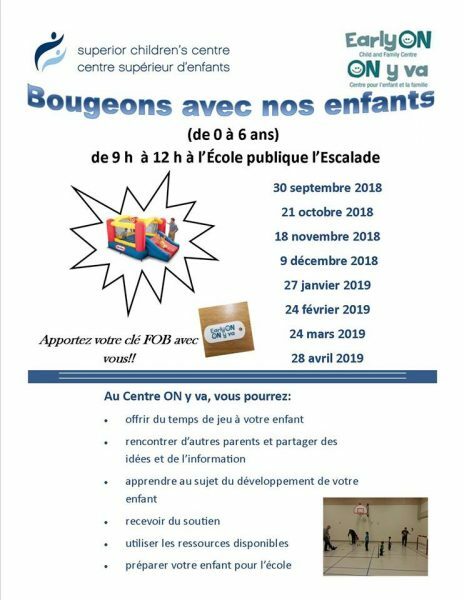 Helping to set up tonight in the cold was Claudia, Pascale and Roger Gamache, Daniel Guay, Richard Delguidice, Patrick Sigouin, Simon Coulombe, Cindy Lord, Francis Dechamplain, and Joey Dechamplain. 100% of the money raised from the sale of the ice candles now go to ALS. 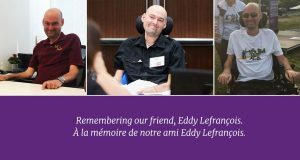 Eddy’s funeral will be tomorrow at Église de Sainte-Cécile in Dubreuilville. The gathering will begin at 10 a.m., with the service at 11. Eddy as asked that everyone bring their smile, no black clothes – Let’s Roll!! 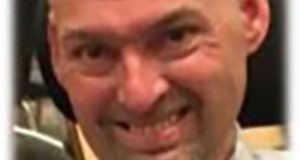 clothing, purple or hockey jerseys. No flowers either, but donations to ALS Canada or to Église de Sainte-Cécile. 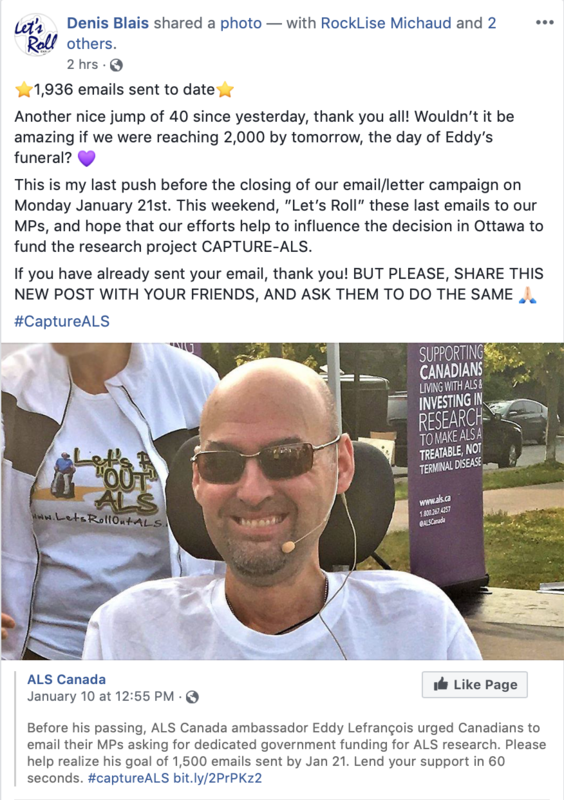 There will be a table at the church to receive your donations, or online at www.als.ca/eddy. There is a memorial reception lunch at the High School Gymnasium after mass. At 4 p.m. there is a Memorial Hockey Game at the Dubreuilville Arena.